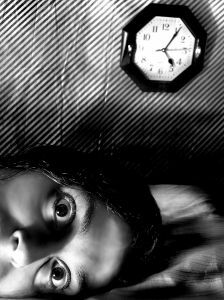 Insomnia is the inability to get an adequate amount or quality of sleep. The difficulty can be falling asleep, remaining asleep, or both. Insomnia is a common symptom affecting millions of people that can be caused by many conditions, diseases, or circumstances. Sometimes it is transient but chronic insomnia can have many different causes; the most common causes are anxiety and depression. Cognitive Therapy has proven to be an effective treatment for chronic insomnia. The American Academy of Sleep Disorders found that Cognitive-behavioral Therapy can help improve sleep.